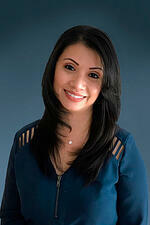 Pia Iglesias is a senior financial and operational executive with over twenty years of experience. She is a relentless bottom-line driver with a career history of exceeding corporate goals by uncovering opportunities that drive aggressive growth, positive change, maximizing operations, and attaining a balanced and profitable fiscal performance. She is dedicated to implementing best-in-class financial controls and automating systems to significantly improve accounting and operational functions. Prior to joining CFO Selections, Pia was the Chief Financial Officer of Floyd Peterson Co., Inc. dba The Peterson Company, a family-owned and operated specialty food importer and distributor based in the Pacific Northwest. While there, she successfully rebuilt the accounting department, restructured financial reporting, and developed formalized systems of financial and operational controls. Prior to The Peterson Company, Pia was the CFO at SCS Refrigerated Services, Controller at Interpacific Resorts Corporation, and worked for various public accounting firms. Pia holds a Bachelor of Science in Business Administration with an emphasis in Accounting from the University of Guam. She is a Certified Public Accountant in the State of Washington, as well as a Certified Fraud Examiner and Chartered Global Management Accountant. She enjoys travelling with her family, hiking, reading, and play time with her two dogs.